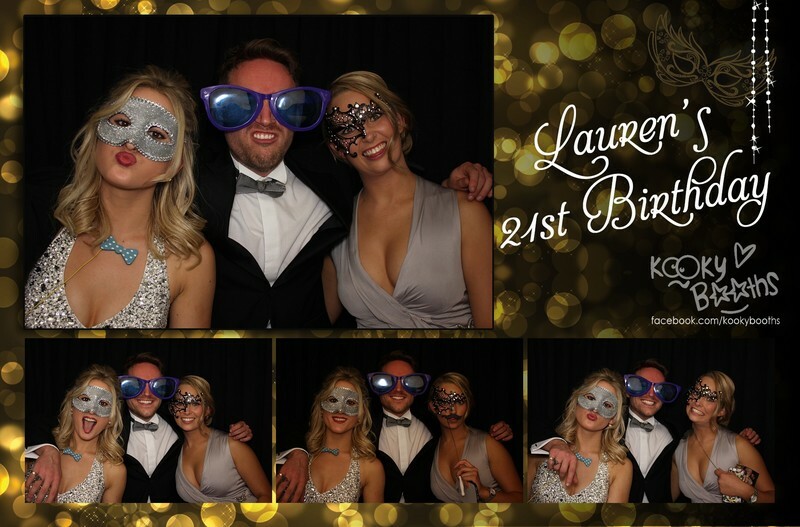 We took along our “High Gloss Black” KookyBooth to the Cleve Hotel & Spa, Taunton to get involved in the celebrations of the gorgeous Lauren who had turned 21! Wowsers! 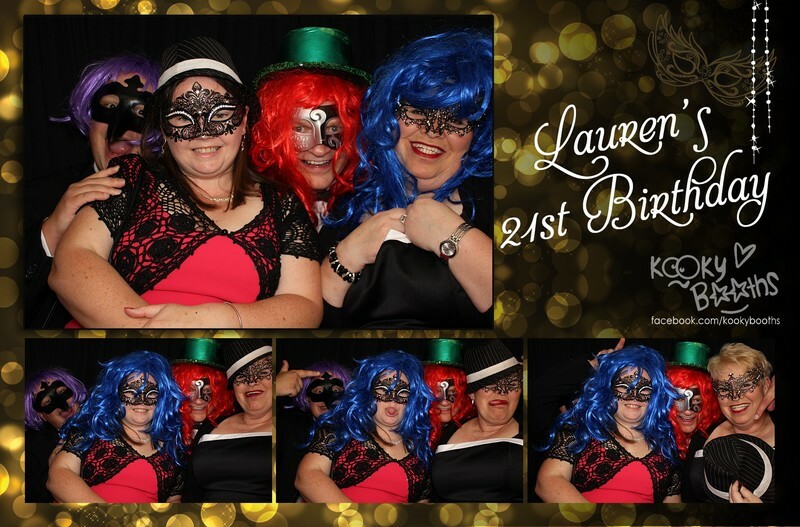 What an amazing party!! 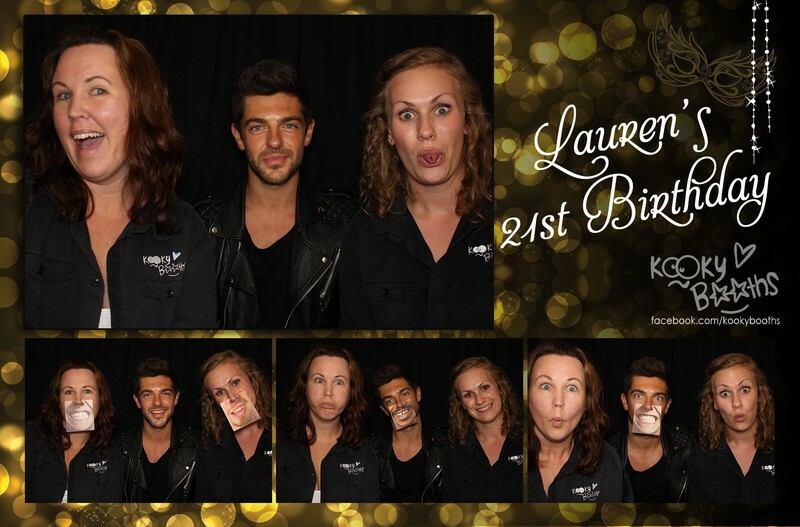 Her family really went to town, there were balloon arches, champers and strawberries on arrival, a GORGEOUS birthday cake as well as a DJ set by Alex Mytton ( Made In Chelsea) so of course, we had to get him in the booth with the KookyBooth girls! 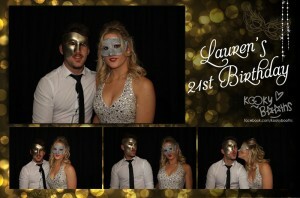 Of course, it’s known that we love a “theme” so we customised the prints with the “masquerade” theme, which Lauren and her family just loved!